This class is taught by Glen Williams, a state certified guard license teacher. 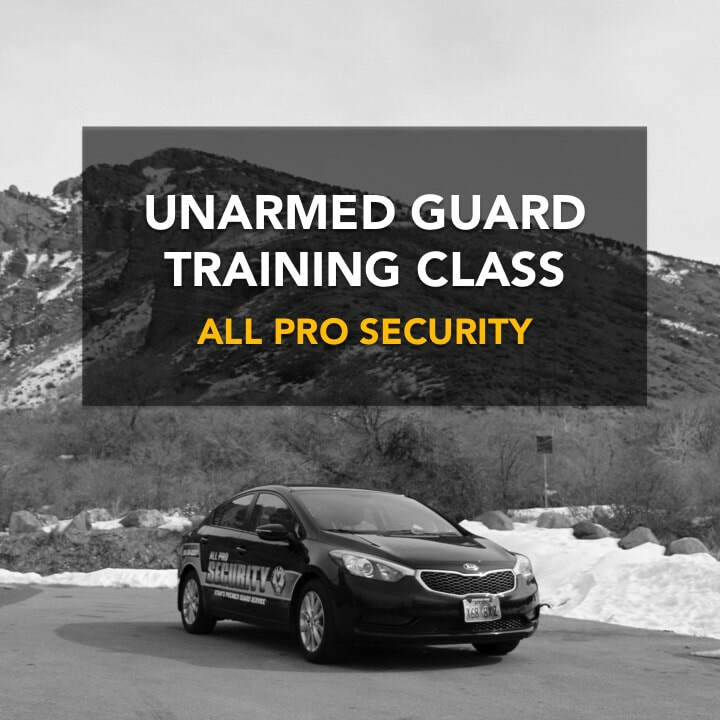 Attending this class is the first step to obtaining your unarmed Utah guard license. All Security guards in Utah must be guard certified. Here you will learn about the daily duties and obligations of a security guard as well as relevant Utah state laws as they apply to your position. You do not have to apply to All Pro Security to take this class.